This morning’s snow was unexpected. After all, it IS the first day of March. The snowfall was light, so I didn’t have to worry about the outside critters being caught in a blizzard, or concern myself with being stranded on the hillside. This snow would be gone in a few hours. 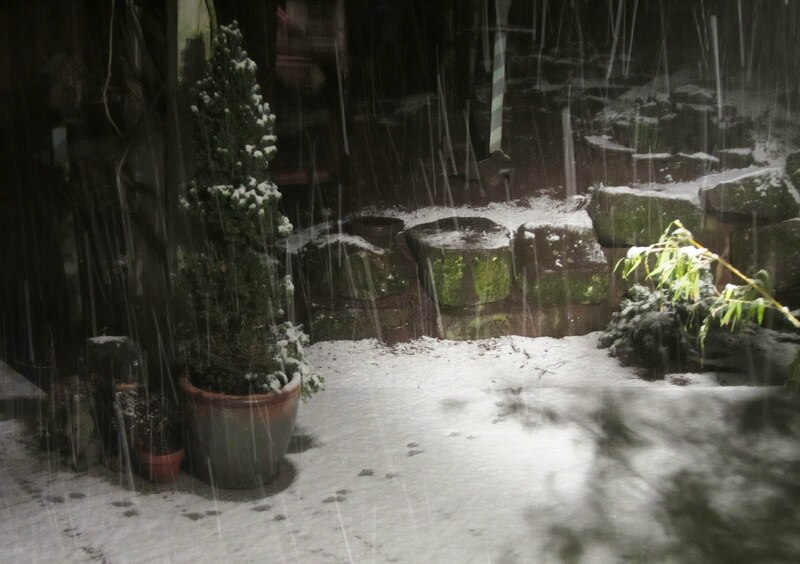 Which left me free to appreciate one of the dearest gifts that often comes with snow – seeing paw prints on the deck. 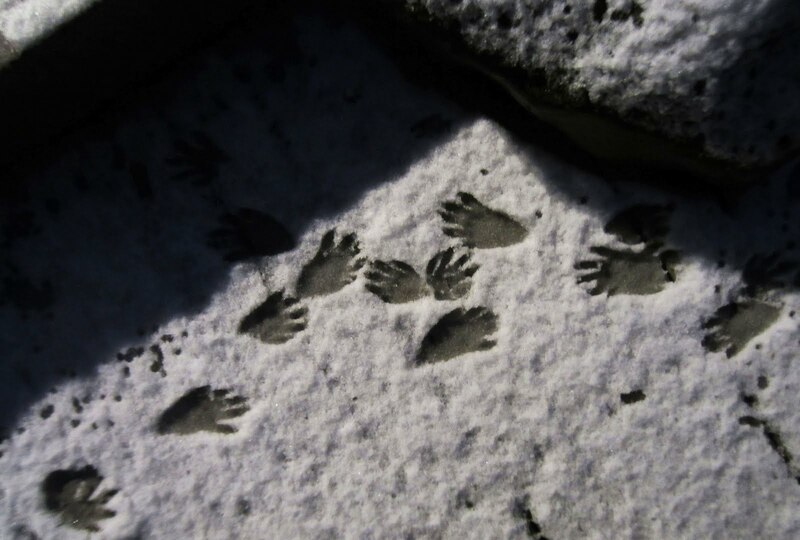 I’m always a bit awed by a paw print – as if I’m in the presence of something sacred. Like many animal lovers, my kinship with the natural world is lifelong and deep. Knowing creatures have been out in the night is comforting to me…a reassurance that the timeless connection I feel with them can never be broken. It’s as if they want me to know they’re watching over me, and that all is as it should be. And that brings me peace.